When most people hear the word ‘body contouring’ they naturally think of liposuction and tummy tucks. But technology has advanced a lot over the years, there are a number of non-invasive body contouring procedures available in the market. Each non-invasive body contouring procedure is designed to achieve specific results. One such procedure is laser body contouring. This procedure has been gaining a lot of popularity in recent times. With this procedure, you can effectively attain weight loss and get rid of stubborn body fat without the use of invasive surgeries. The results of this treatment often last for years with proper care after the procedure. Body contouring has become extremely popular in recent years, as people are looking for a safe and effective way to eliminate stubborn body fat from their body. In addition to getting rid of the fat, this treatment can help you achieve the body that you have always dreamed of. Non-invasive body contouring procedure promises fast results for people who want to look their best, without investing a lot of time in recovery. Laser body contouring targets unyielding fat areas and painlessly emulsifies the fat cells under your skin. Once the fatty lipids are released, your fat cells naturally collapse. Then the lymphatic system of your body comes into action and eliminates those unwanted fatty lipids. Because the doctors have found a way to work with your body’s natural operations, this process is quick and completely pain-free. Unlike other invasive methods like liposuction or surgery, this procedure allows you to continue your daily routine without any kind of interruption. When you choose this procedure over other invasive procedures like liposuction or bariatric surgery, you can avoid going under the knife. In invasive surgeries, the doctors surgically remove the fat depositions of the body that are not responding to dietary changes and exercise. But, there are many disadvantages of this surgery, the biggest drawback is that patients will have a permanent scar on their body. Also, following the procedure the patients need to take a week off from work so that they can let their body heal. Such treatments require a whole lot of commitment of time and energy and the results do not always last forever. On the contrary, non-surgical body contouring will still eliminate excess fat from your body, but you will not have to undergo a dangerous operation. 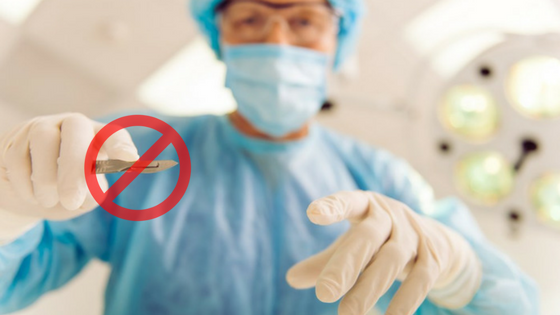 Also, surgery comes with risks like bleeding and adverse anesthesia effects. With non-surgical laser body contouring, you will never have to worry about these risks. As already mentioned, this treatment involves the use of lasers to burn fat cells of your body. Hence, it is a completely non-invasive procedure. It only takes a few minutes for the treatment to be carried out. The process does not require the use of any kind of drugs or incisions during the treatment. In simple words, you will only relax and feel no sort of discomfort while the treatment is being carried out. You can even be sleeping while the process is undertaken. If you are an individual who fears surgery, non-surgical body contouring is the perfect option for you. When you choose this procedure, there is nothing like downtime. You will walk in and out of the sessions without any kind of help. 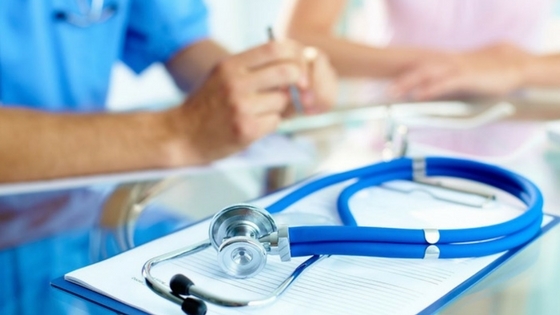 It is because you are not undergoing any major operation or surgical procedure. There is an extremely quick recovery time associated with non-surgical body contouring. There is no downtime or required period of rest at all. On the contrary, undergoing a surgery to remove excess fat can potentially leave you on bedrest for a few weeks. Whereas with this procedure, you can immediately head back to your daily activities following the treatment. With this treatment, you will start seeing desirable results in a very short span. You can achieve weight loss in a few weeks itself. The treatment itself will take about two weeks to get done. The results of this treatment are seen after a few weeks more. There is no diet, pills or routine workout needed in order to finally see the results of this treatment. You will not be making any life-altering changes in your life, like quitting alcohol or completely cutting out carbohydrates. Most people who have a busy work schedule prefer laser contouring over liposuction for this reason itself. Excess body fat and cellulite can invite a number of ailments. Also, they look really unattractive as they can cause ‘cottage cheese’ appearance caused by fat cells protruding due to constricted fibrous bands under the skin. There are three main physical and emotional reasons to get rid of excess body fat. The first is to improve appearance, second is for enhanced self-esteem and lastly to promote a better health. The biggest benefit of choosing non-surgical laser body contouring is that you can eliminate this excess fat from your body. The fat on your stomach, thighs and other areas can be extremely difficult to remove with regular exercise and dieting. The non-invasive procedure is a revolutionary treatment that can effectively help you in your journey towards weight loss. You should not have to go through life hating your body when it is really easy to get the body shape you always dreamed of. With traditional methods like surgery or liposuction, you would be benefited as you lose a large amount of weight. It is a potentially life-changing achievement. But one of the major drawbacks of these procedures is that patients are often left with hanging skin, due to the lack of elasticity. This causes an unflattering shape form, which tends to overpower the benefits of weight loss. But with the non-invasive procedure, you will be provided with smoother and tighter skin. It is because the non-invasive procedure diminishes the appearance of cellulite on some parts of the body through the use of laser. It helps in tightening the skin while minimizing the fat cells for a smoother skin effect. It tightens the skin in such a way that it may sometimes reduce the appearance of sagging skin and help minimize those stubborn stretch marks. When you choose this treatment, you can rest assured that you have entrusted your body in experienced hands. The medical staff will take you through the whole procedure and answer your queries regarding the same. They are certified individuals who can carry out this task in a safe and efficient manner. They have years of experience working in this field. They have a personalized and meticulous approach to achieve the best results for their clients. Non-invasive body contouring procedures are highly versatile in nature. They can help you in skin tightening and body fat reduction. Through this treatment, you can target various areas that have accumulated fat cells and are not responding to other forms of treatment. You can target areas like your belly, upper arms, thighs or buttocks. It can also help in tightening loose skin after a massive weight loss. This may help in the reduction of the appearance of stretch marks. This treatment can be used on various parts of your body, including the key areas that most people want to reduce, refine, reshape or contour. With non-surgical laser body contouring, you can attain long term results for your body. This procedure helps in shaping your body by safely killing the fat cells in the body. Once these fat cells have been eliminated, they will be gone forever. This will give you the opportunity to maintain your new, beautiful body for the rest of your life. There are many people who think that the fat lost through this procedure can come back. But the truth is that fat does not come back unless you gain over 30 percent of your body mass. If you want to maintain the results gained by the body-contouring procedure, you will need to change your lifestyle. With proper exercise and a healthy diet, you need not worry about gaining back the fat that you lost. There are countless people who have undergone non-invasive body contouring procedure and they have experienced positive results. This will provide you with the peace of mind that the treatment you have selected for yourself is right. You can have the assurance that this form of treatment will provide you with effective and long term results. Unlike other treatments that depend on a variety of factors to show positive results. Body contouring is far more effective and efficient. There are many people out there who avoid liposuction because they are afraid of losing a lot of blood during the surgery. If you are one such individual, you should definitely opt for non-surgical body contouring. There is no loss of blood involved in this procedure. This is a completely non-invasive procedure that requires no kind of incision. Hence there is no chance of blood loss. The patients do not suffer the risk of excessive blood loss that might cause death or cause other health related complications. The coagulation of blood eliminates the possibility of swelling as well. When you choose non-invasive laser body contouring there are fewer chances of getting an infection when compared to other surgical options like liposuction or surgery. Reduced chances of infection mean reduced risk of getting diseases. As the procedure is concerned with the external parts of your body, there is no chance of getting a contagious disease or infection of any sort. Non-invasive body contouring is commonly used to return an individual’s body to the right shape without surgical treatment. Hence, there are no additional risks involved in this treatment. It does not have dangers associated with conventional liposuction treatment like incisions, discomfort, bruising and medication. Since there is no direct contact with the inner layers of the skin, you will not require any kind of over-the-counter painkillers after this treatment. This form of treatment has minimal to zero side-effects. This form of treatment is known for being really quick and efficient at the same time. You will not require to go for it on a regular basis. Once the required weight loss rate has been achieved, you can efficiently cease the treatment. You may require one or two follow up appointments, apart from that this treatment is not recurring. Patients on seeing positive results, tend to opt for this treatment to treat other fat affected areas of their body. Additional treatments to get rid of more body fat is completely the patient’s choice. There is no compulsion to go for this treatment on a permanent basis. Loose, hanging skin that does not get reduced by conventional weight loss measures like dieting and exercise can be really heavy. It also makes it really difficult for patients to move around and carry out daily activities. As a result, even the simplest of the activities like walking or climbing the stairs can cause a whole lot of discomfort. For some patients, having excess fat can even make it painful for them to undertake day to day activities. The folds of loose skin can rub against each other or other parts resulting into chafing, rashes, and infections. When you choose non-surgical body contouring, you can relieve yourself from this kind of discomfort. It will remove the loose skin. This, in turn, will make day to day activities fun and enjoyable for you. 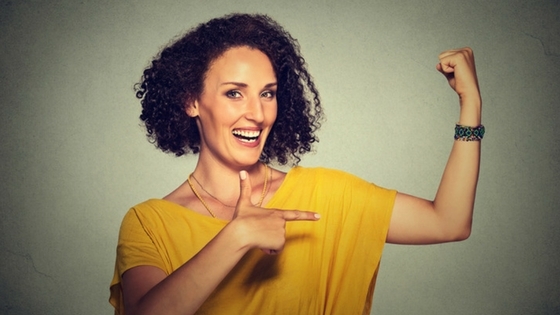 Self-confidence is a large motivator for people to start their weight loss journey. But when the traditional methods like exercise and dieting do not seem to be working, the patients often feel disheartened. It is common for patients to be self-conscious of the loose, sagging skin that does not seem to budge at all through conventional methods. This is also a problem for patients who have lost weight but are still reluctant as they experience extreme skin sagging because of the massive weight loss. Instead of showing off their smaller frame, they instead hide it under loose and bulky clothing. Some patients may feel embarrassed by their thinner yet shapeless body frame. Non-invasive laser body contouring can help in mitigating these issues. As this procedure tightens and smooths out the contours, it can help your body in achieving the perfect shape. After this treatment, the patient feels more comfortable and confident wearing form-fitting clothing and bathing suits. Surgical options for body contouring usually only work on certain specific types of individuals. You have to undergo various inspections and only if you are deemed a right candidate for the surgery, you will be able to avail the same. It often happens that many people looking to improve their body do not qualify for the surgery. This does not happen when you seek non-surgical body contouring. The treatment is designed to work for practically anyone. This procedure is best for you if you are looking for ways to get rid of stubborn fat deposits in various areas of your body. Say, for example, if you have a small amount of fat on your stomach, then it can be easily eliminated using non-surgical body contouring. What makes you a right candidate for this procedure? Patients who are not close to their ideal weight should realize that body contouring cannot replace a healthy diet and exercise. Those who have been at a healthy weight for at least two or three months generally make the best candidate for this procedure. The main aim of this treatment is to gently tone the smaller pockets of fat that are not at all responding to any sort of lifestyle changes. Depending on what body part you are looking to reshape, you can get different types of non-invasive body contouring procedures done. This procedure has proven to be highly safe and effective for many people battling with excess body fat. When I first heard about body contouring I actually thought it must be either liposuction or something like tummy tucks. 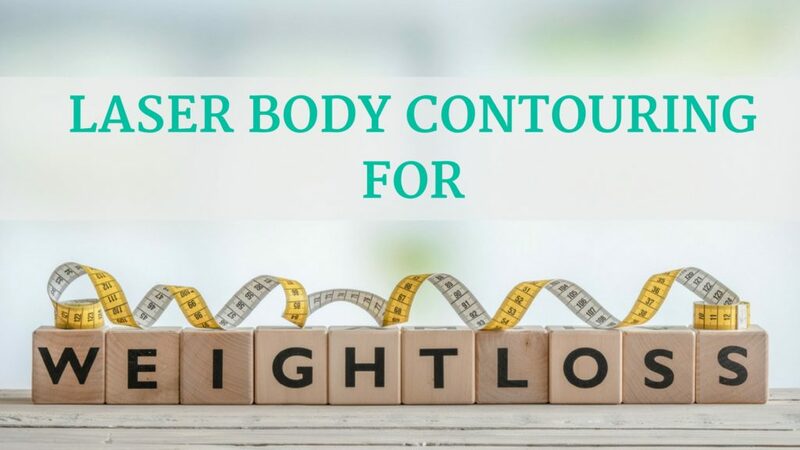 Thanks to this informative blog it made me aware about what actually laser body contouring is and the benefits associated with it. Now it’s easier for me to target fat ridden areas of my body for weight loss.